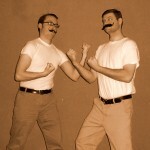 The Mustache Rangers are pushing, unwillingly, into action today! Can you resist the promise of thrills and spills and pills and drills and fraudulent wills and whiskey stills and an angry Mike Mills? We did not think so. It is eternally springtime in space, which means it is always time to redecorate. Sadly, there are no antique shops in space. An old wagon wheel made into a dart board would be perfect for the room of recreation. What are the Mustache Rangers to do? When we last left our heroic Mustache Rangers, they had just landed on the planet of Bluton. What historical and/or hideous aliens will the Rangers find on the famous red planet of Bluton? 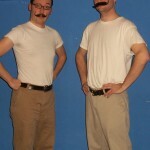 The Mustache Rangers have been podcasting since January 2007 and improvising for longer. Back in 2007, the Rangers hardly knew how to podcast. But things have changed. 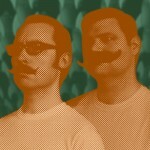 For NoisePicnic, The Mustache Rangers present you with those early podcast episodes, newly edited and freshly cleaned for more listening pleasure. 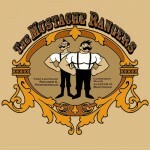 For newer adventures, and more about the Mustache Rangers, visit their site at MustacheRangers.com.